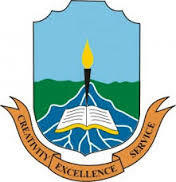 Niger Delta University, Wilberforce [NDU] 16th Matriculation Ceremony Schedule, Academic Gown Collection and Guidelines for Payment of Fees for 2017/2018 Academic Session. The 16th Matriculation Ceremony for 2017/2018 Academic Session is scheduled to hold on Saturday, July 28th, 2018 at the Main Campus Auditorium. Sign-in with your email and password. Make payment online (N3,000.00) Three Thousand Naira only with an Internet Banking enabled Debit Card. Go to your respective Faculties for collection of Matriculation Gown at the presentation of the printed receipt. All 100 level, Direct Entry and Postgraduate students are to pay for the Matriculation Gown. ii. All Matriculants are expected to be seated according to their Faculties in the Gloryland Main Campus Auditorium by 11:30a.m. iii. Academic Procession is due to commence by 12:00 noon – All Deans/Heads of Department are requested to meet at the ETF Building by 11:45 a.m.